I've just arrived home from a three-day visit to Indonesia for the South East Asia launch of the Asus ZenFone 2 held at the Grand Ballroom of Pullman Hotel in Jakarta. I'll be posting a separate entry where I'll share more exclusive photos and information about this much anticipated handset that I got during event. 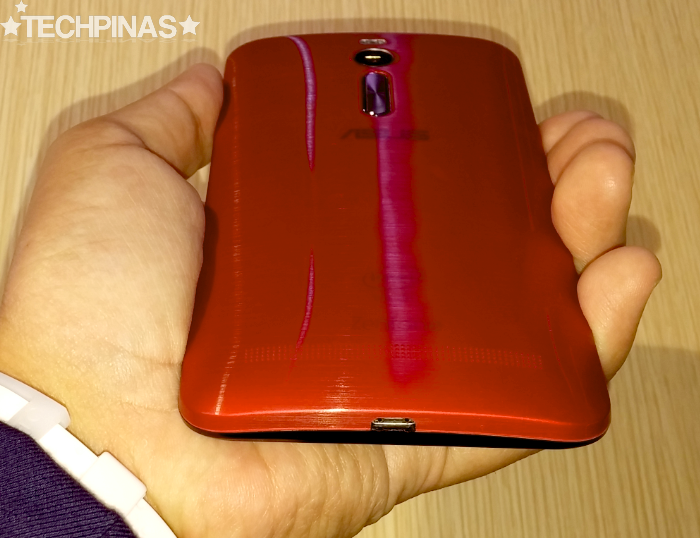 But for now, let's talk about this smartphone in the context of its availability in our country. 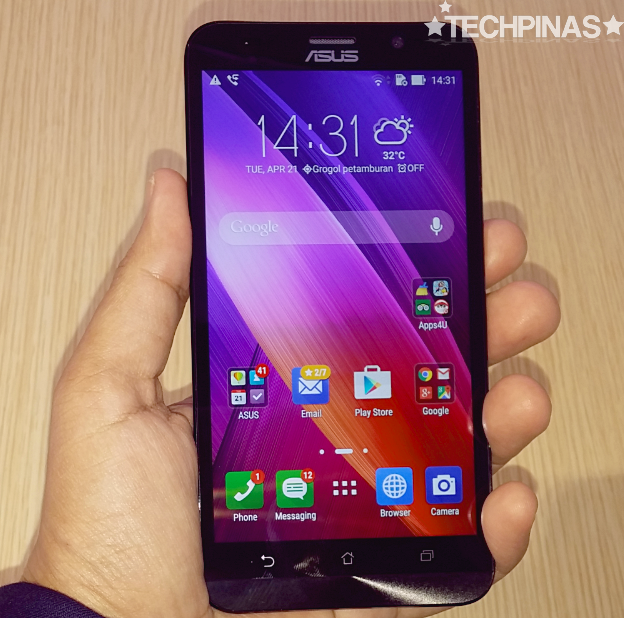 In 2014, Taiwanese electronics giant Asus was able capture the fancy of many Pinoy mobile consumers with its fairly powerful yet ultra-affordable ZenFone line of smartphones. 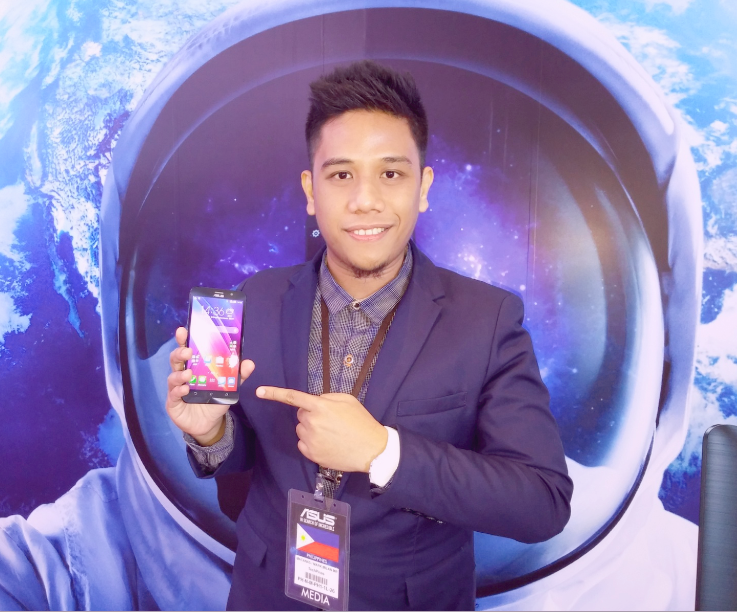 In fact, ZenFone 4, 5, and 6 - especially ZenFone 5, which is a TechPinas Badge of Excellence Awardee - were three of the top selling smartphones in Philippines last year; Thanks to new Filipino Asus fans who'd eagerly clear out stores until the very last unit available. With that mind, I bet a lot of you guys are totally excited about the upcoming Asus ZenFone 2 phablet, which is the 2015 iteration to this critically acclaimed and commercially successful series. The initial model - that has four variants - was officially introduced by Asus Chairman Mr. Jonney Shih at CES 2015 in Las Vegas last January 6, 2015 and was re-introduced in South East Asia last April 22, 2015. 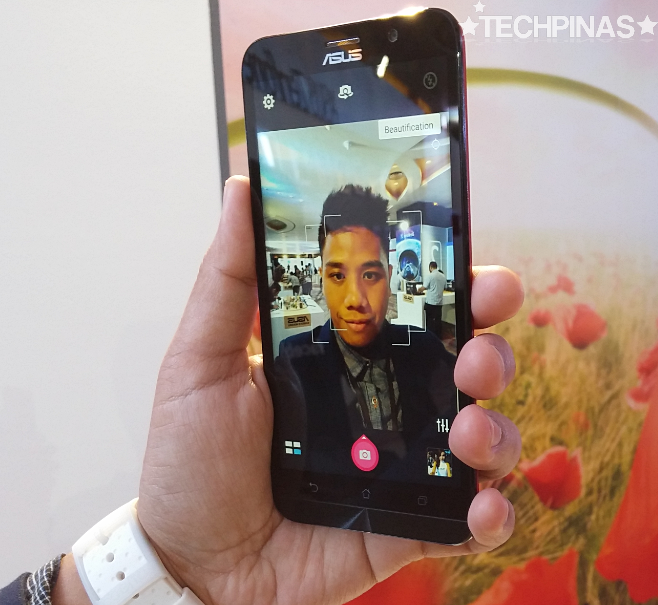 As we've shared earlier on TechPinas, the new flagship smartphone in the ZenFone family - the ZenFone 2 ZE551ML - features an all-new design, has a 13 MegaPixel PixelMaster camera, and comes with uncompromising performance delivered by a 64-bit Intel Atom Z3580 processor with 4GB of RAM for the 32GB and 64GB models and a 64-bit Intel Atom Z3560 chipset paired with 2GB of RAM for the far more affordable 16GB version. There's an even more budget-friendly version, the 16GB ZE550ML, which has almost the same specs but sports a lower resolution screen. 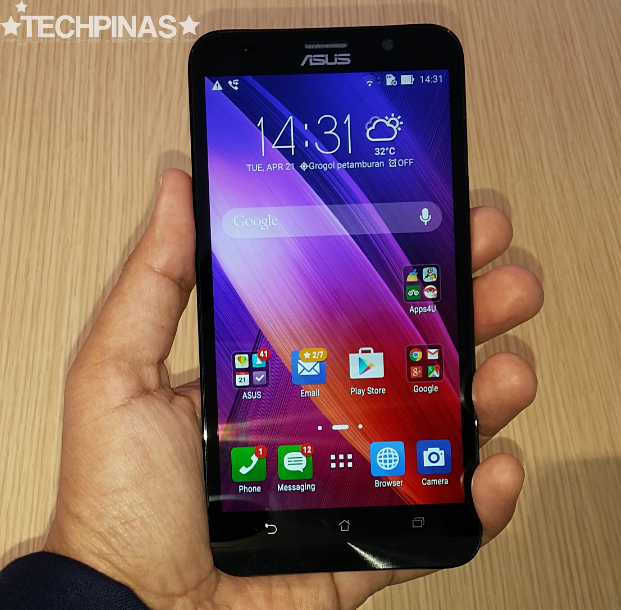 According to Asus, "An Intel LTE-Advanced modem provides ultra-fast and reliable 4G/LTE connectivity. 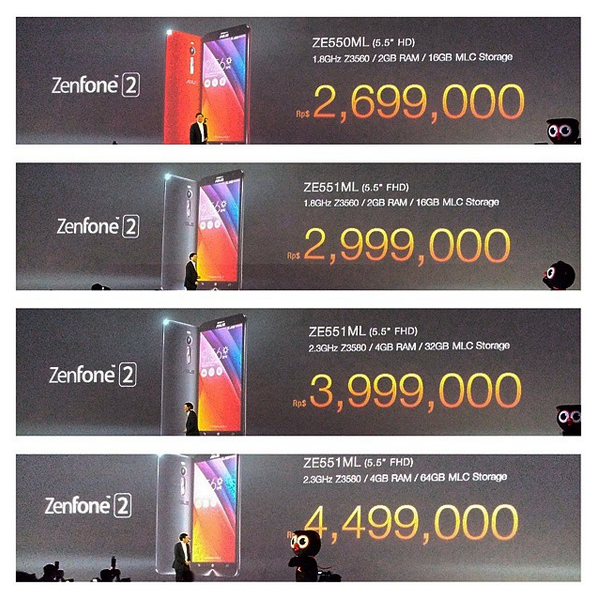 Building on the success of ZenFone and leveraging a quarter-century of engineering accomplishments, the highly-anticipated ZenFone 2 provides a wealth of exciting new features and a refined ASUS ZenUI experience to deliver a new level of empowering luxury to everyone." 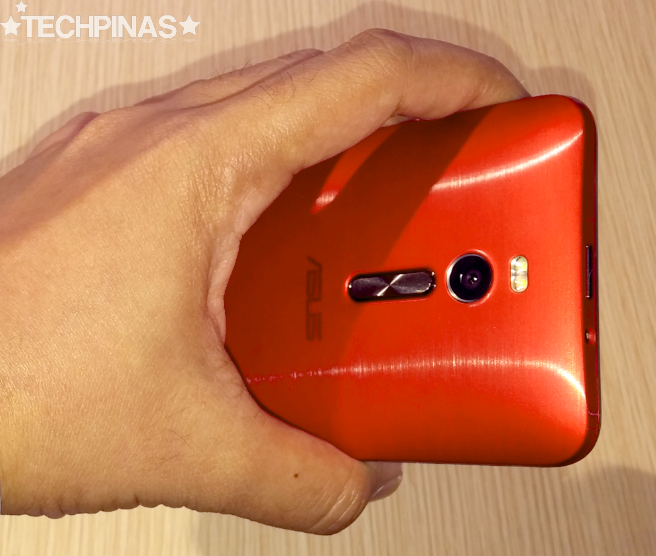 Here's how the company describes ZenFone 2's design identity: "ZenFone 2 has a gorgeous, all-new design that employs iconic Zen design elements, such as a sleek, brushed-metal finish and concentric-circle detailing, and introduces new refinements, including a graceful curved case that tapers to an incredibly thin 3.9 mm at the edges." "The case provides a comfortable, secure grip, and features an intuitively-placed volume control key on the rear of the phone within easy reach of the user's index finger. 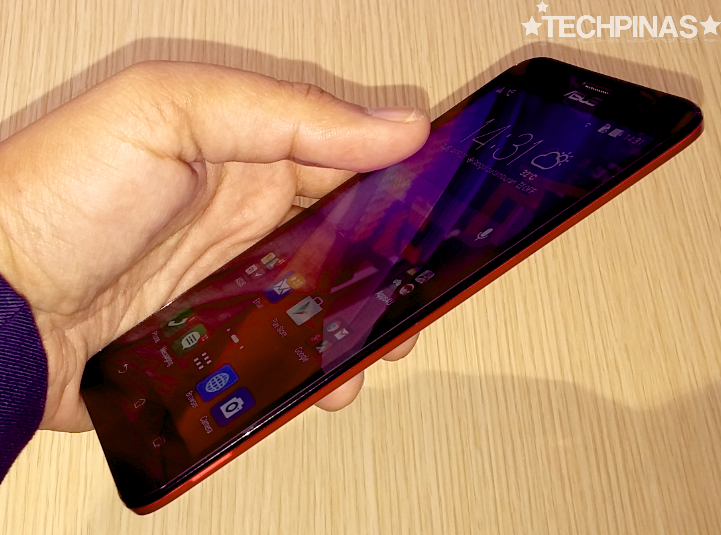 This phablet's 5.5-inch Full HD IPS+ screen has an ultra-narrow bezel that reduces ZenFone 2's overall size yet provides a maximized viewing experience," the Taiwanese company adds. Looking at photos of the handset, though, I think it borrows design elements from at least three popular smartphones from 2014. 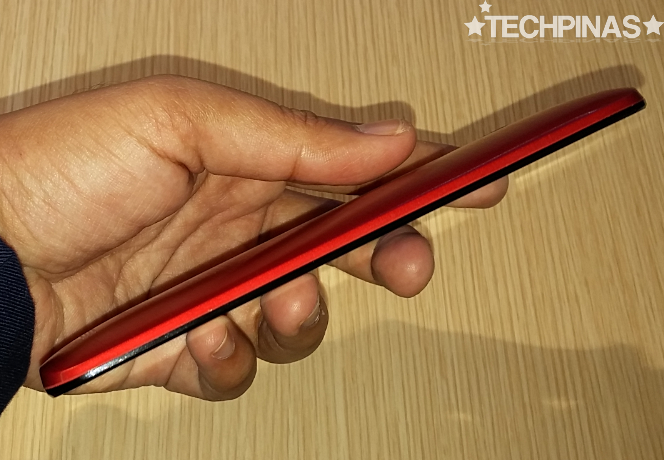 The back - I think - looks a like HTC One M8 and LG G3 while the face and the tapered sides are reminiscent of Meizu MX4. 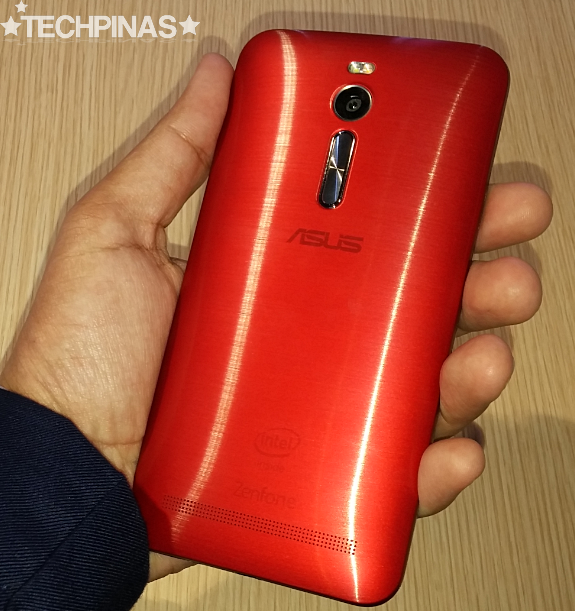 But that's just me; Let me know your own thoughts about Asus ZenFone 2's design, TP Friends. Asus' very own Zen interface for Android 5.0 Lollipop doesn't only look sleek but now gives users a near vanilla Android experience. Yep, it's not as heavily customized as the UI's of other handset companies making it more energy-efficient and fluid. Let's jump to the phone's imaging capabilities. What's so special about its shooter? 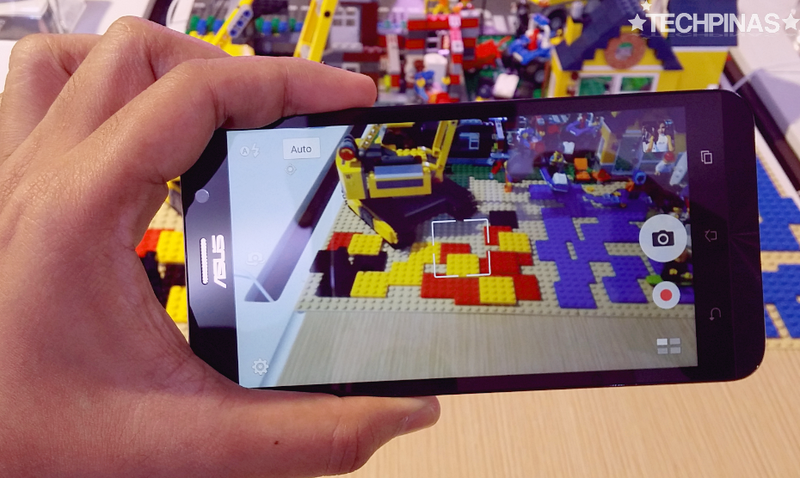 ZenFone 2's 13MP PixelMaster camera has a f/2.0 wide-aperture lens lets users quickly and easily capture beautiful, high-resolution photos with zero shutter lag. Camera features including Low Light mode, Backlight (HDR) mode, and Real Tone flash ensure great photos of various subjects even when there's little ambient light available. In front, above the display, ZenFone 2 flaunts a 5 MegaPixel cam for selfies, which is laudable improvement from the 2MP front cam of last year's ZenFone models. Lastly, ZenFone 2 phablet has a non-removable 3,000 mAh Li-Po battery that - Asus says - provides more than enough power to get through the day. This pack also comes with fast-charge technology for 'dramatically-reduced' recharge times. Right now, we are still waiting for the company to disclose the official SRP of this much-awaited release in this region but according to our reliable sources, the handset should become available in the Philippines within May to June 2015 with price tag starting at around Php 9,000 to Php 10,000 for the 16GB model. I will be updating this entry regularly until the formal launch of this smartphone in the country so stay tuned.